The interviews of Antonio Trillanes IV, Jover Laurio and lately there was Maria Lourdes Sereno. The interview with all three did not go well. 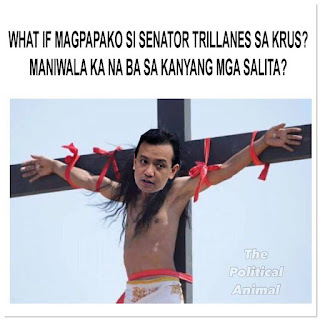 Trillanes failed to answer simple questions, Laurio could not prove her claims at Pinoy Ako Blog and Sereno was criticized for being too personal and for being too much of a Duterte critic. 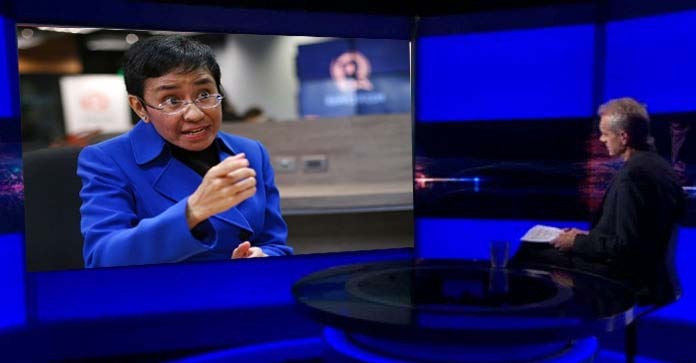 Now, Maria Ressa who previously won the Golden Pen of Freedom Award 2018 now dares Stephen Sackur of BBC HARDtalk to interview her next. "I did not win my awards from various European organizations for nothing. I won by Golden Pen of Freedom Award and all my human rights award because I am a very reliable fact checker. I dare Stephen Sackur of BBC Hardtalk to disprove my statements on Rappler. No, it is Duterte who is spreading fake news -- not me! I am awarded by those organizations and those foreign organizations affirm my credibility. I'm 100% sure to grill him on his own show. He doesn't have the Golden Pen award and I do." said Maria Ressa in an interview in CNN Philippines. When asked about that claim, Sackur said, "Well let her try and grill me on BBC HARDtalk. What makes her think that I am not ready?" He mentioned that he was also ready to interview more people such as Cheato Gascon, Etta Rosales, Leni Loud Robredo and Nobita Aquino.